Mount Koya, in Wakayama Prefecture, is the heart of Shingon Buddhism in Japan, and one of the country’s most sacred locations. 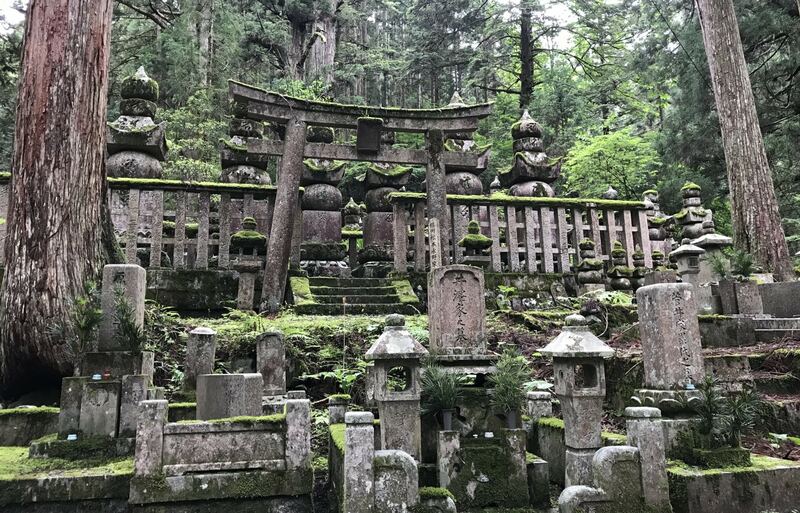 Also known as Koyasan (高野山), this peaceful town is home to the atmospheric Okuno-in cemetery and Japan’s largest rock garden, Banryu-tei, and is also one of the best places to experience an overnight stay at a temple. A secluded Buddhist sanctuary tucked away in the forest on top of a mountain, Koyasan is part of a wider UNESCO World Heritage Site that includes various pilgrimage routes and sacred sites in the Kii mountain range. It was established in 816 A.D. by Kobo Daishi, a prolific monk who was responsible for bringing Shingon Buddhism to Japan. These days the town opens its doors to visitors who wish to learn more about Buddhism and take part in activities such as morning prayers, meditation and other ceremonies. Koyasan is full to the brim with temples—there are over 100 in the area—but one that you definitely want to include on your itinerary is Kongobu-ji (金剛峯寺). It’s the head temple of Japan’s Shingon sect of Buddhism. With 3,600 branch temples located around the country, Kongobu-ji is an important establishment for both the town and Japan as a whole. For a small entrance fee (¥500 for adults, ¥200 for children) you can take a self-guided tour of the temple, where you can view elegant rooms adorned with historic artwork and learn more about Kobo Daishi, his visit to China and subsequent founding of Koya. This is also the location of the Banryutei Rock Garden, the design of which is intended to resemble two dragons emerging from the clouds to guard the temple. At nearly 2,350 square meters (some 25,295 square feet! ), it’s the largest Zen garden in Japan—the ideal place for quiet contemplation and reflection. Okuno-in (奥之院) cemetery is the jewel in Koyasan’s crown, and one of the most sacred places in an incredibly spiritual area. There are over 200,000 tombstones or memorial towers lining its pathways, ranging from the crumbling, moss-covered graves of ancient lords to modern company monuments, all interspersed with towering cedar trees. This is a special treat for history buffs, since many of them honor some of Japan's most prolific feudal lords and samurai warriors. The grounds of Okuno-in provide an incredibly scenic walk about two kilometers long (a little over a mile), with a mausoleum where it is believed that Kobo Daishi rests in eternal meditation. Here you’ll find the ethereal Hall of Lanterns, filled with more than 10,000 intricate lanterns that are kept perpetually lit. Visit Okuno-in on a misty day or at dusk to really soak up the haunting atmosphere of this mystical spot. As a destination for many pilgrims on the path to enlightenment, many of the temples in Koyasan offer the opportunity to stay overnight. There are 52 of these shukubo (宿坊・"pilgrim's lodgings"), which often offer private rooms not dissimilar to a traditional Japanese ryokan. This is a great chance to try Buddhist vegetarian cuisine, known as shojin ryori, and to experience an authentic morning meditation ceremony—just be prepared for an early start! Also, please note that many of these lodges do not accept payment by credit card. The closest major city to Koyasan is Osaka. Take the Nanka-Koya Line from Osaka Namba Station to Gokurakubashi Station. A one-way trip takes about an hour and 40 minutes. From Gokurakubashi Station, a five minute cable car ride will take you up to Koyasan Station. Once there, it's a short bus ride into the town center, since the road that links the two is closed to pedestrians. 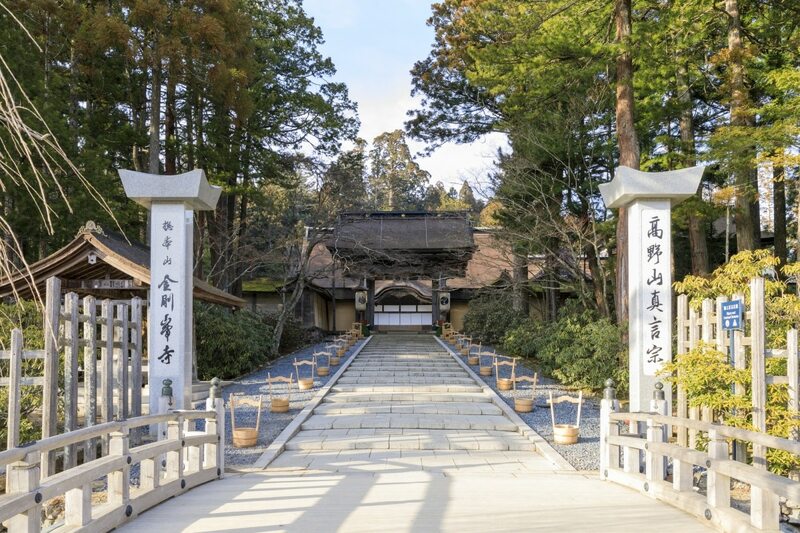 The cheapest way to get to Koyasan is with the Koyasan-World Heritage Ticket, which includes discounted round-trip fare, free bus rides and discounted admission fees! Kansai-based freelance writer from the UK, who moved to Japan on a working holiday visa in 2017. Hobbies include travelling, yoga, reading, and attempting to master Japanese!